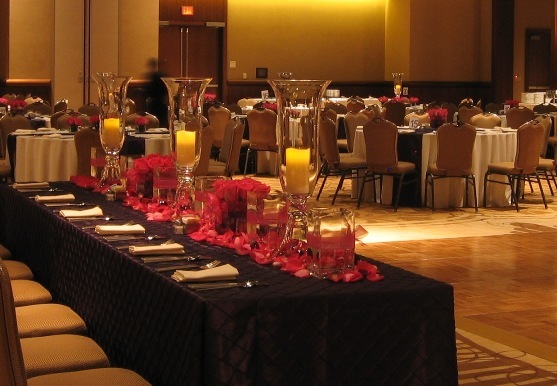 November Wedding at the AT&T Executive Center featured hot pink and purple flowers, burgundy seeds and cool gray leaves & berries. 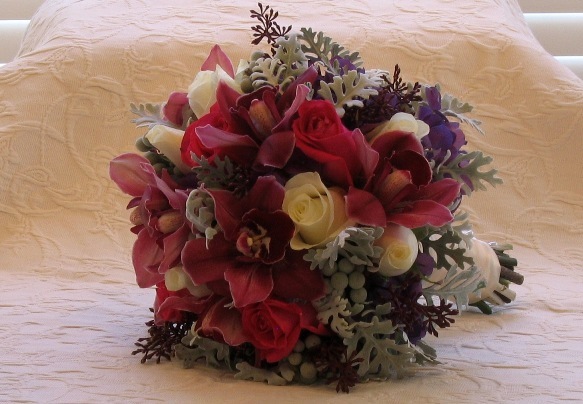 Color theme extended into ceremony, with purple, pink and white flowers accented by curly willow. 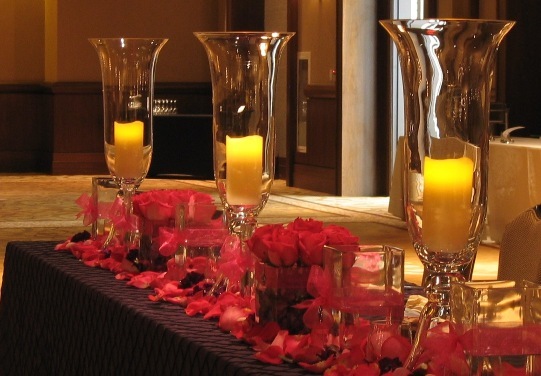 Placed in tall silver trumpets, these arrangements later graced the buffet tables. 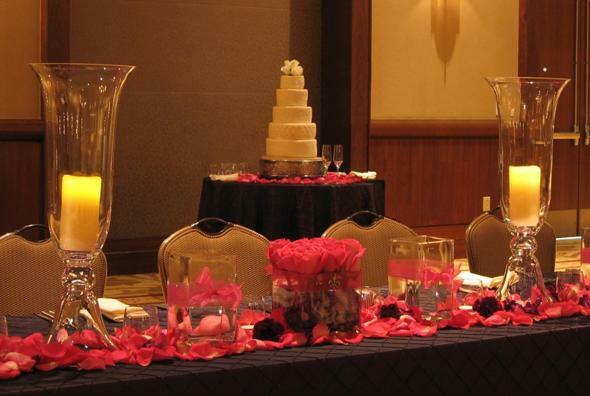 The head table featured grape, tucked taffeta linens, hot pink flowers. 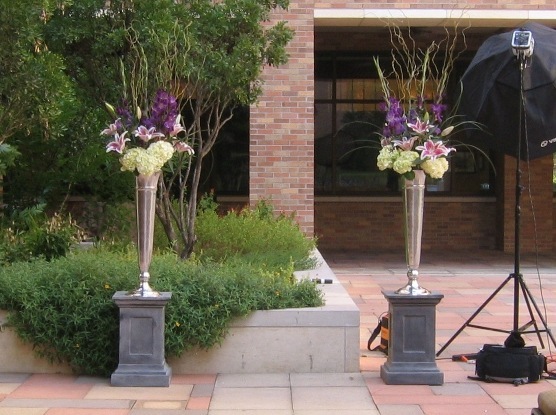 Tall hurricanes add height to the arrangements as well as a soft subtle glow. Bridesmaid’s bouquets were added to the head table after the ceremony, for a lush display of hot pink flowers. 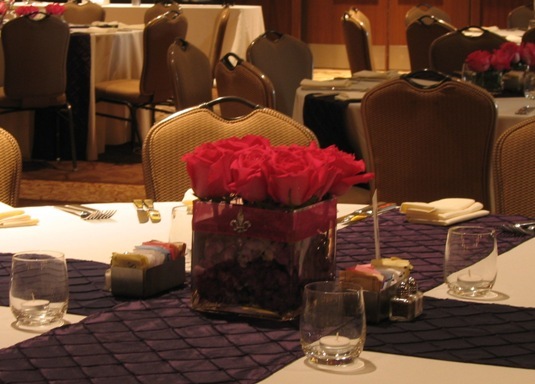 The groom’s family heralded from Louisiana, thus the welcoming fleur de lis trinket on the centerpieces.